Martha’s voice has dominated the airwaves, and her charisma and spirit has embraced millions of people around the world. She is responsible for some of the top-selling, most recognizable pop hits of the 80s and 90s. “It’s Raining Men”, the cult pop classic, is still heard everywhere… the radio, movies, commercials, TV. “Sweat (Everybody Dance Now)” was the highlight of C&C Music Factory’s career, and sold 5 1/2 million copies worldwide. Black Box’s Dreamland featured four #1 Billboard Dance singles and three Top 40 hits including “Strike It Up”, a single that continues to receives massive airplay and is still heard at every NFL and NBA game everywhere! All of the above have achieved major success and all have one common denominator – Martha Wash. She is the heart and soul of dance music. “Martha Wash “The Collection”: was released in January 1998 on Logic Records/BMG, to honor her timelessness and her renowned presence that has been instrumental in shaping popular music as we hear it today. The highlights of Martha Wash’s career create a colorful history, telling the story of dance and pop music from the days of disco to the present. She has toured and performed with the world’s top entertainers. In addition to her work with countless superstars, and Martha’s projects with Black Box and C&C Music Factory, she was half of the magnificent duo Two Tons of Fun, which evolved into the Weather Girls with the release of “it’s Raining Men”. “It’s Raining Men” hit BIG worldwide. “Martha Wash “The Collection” reintroduces the legendary hit, reproduced 90’s-style guest-starring larger-than-life media personality RuPaul.”Strike It Up” has also been re-recorded especially for this album. “Sweat”, which helped the duo Cole/Clivillés (C&C Music Factory) sell multi-platinum, is featured on this collection in its original form. All of these hits were turning points in pop music, bringing an underground, club flavor into the mainstream and enduring as classic radio favorites. “Martha Wash “The Collection” assembles the most significant hits of the era and boasts a set of new songs that span the realms of dance, pop, R&B, and gospel. In addition to the aforementioned titles, the album features: “Taking Away Your Space”, which was written especially for her by the late Sylvester and “It’s True I Do” which was recorded while she was part of Two Tons of Fun; The award-winning duet with Jocelyn Brown “Keep On Jumpin”‘ from Todd Terry Presents Ready For A New Day, “Taking Over” also from C&C Music Factory’s last album; and from her self-titled RCA album, “Carry On”, “Give It To You”, and Martha’s personal favorite, “Someone Who Believes In You”. The Collection’s highlights are three brand new recordings produced especially for this album: the inspirational “God Bless The Road” featuring an extraordinary gospel choir; the glorious anthem “Catch The Light” produced by the power west coast duo Richard ‘Humpty’ Vision and Pete Lorimer; and the passionate “Come”, blending African rhythms with the power and heart of club music. The new “Strike It Up” is produced by Jim Papoulis, and “it’s Raining Men…The Sequel”, “God Bless the Road”, and “Come”, were all produced by the maestro Gary “The Headman” Haase. 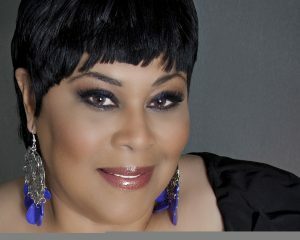 Martha Wash began her musical career at the age of two in her parents’ church in her native San Francisco. She went on to study opera and tour Europe while still in high school. Martha became part of a contemporary gospel group called N.O.W. (News of The World) and the mix of classical and gospel training accounts for her seemingly effortless transition, from ballads to dance music to pop. In addition to her vast career in pop music, Martha has also starred in major theater productions, and has recorded numerous jingles and movie soundtracks (Kiss Me Guide, First Wives Club, Mighty Ducks, Gun Ho). Now two decades later Martha Wash has released her stunning new LP, titled, “Something Good.”“Something Good” is a collection of new music from Wash in a different vein than her old favorites. While the new album contains music that is sure to please longtime fans, it is more of an alternative pop-rock journey. This new album is a perfect presentation of her varied talents. The record is a full-length, long playing album that transitions away from her tradition of top-notch, foot-tapping, voice-soaring dance numbers. It’s a departure from the dance club manner of excellence fans have come to expect from Wash, and commands its own powerful character among her releases. Martha Wash has called the eight songs on “Something Good” “empowering,” which is to dramatically understate the point. Wash, herself, who has encountered more than any artist’s fair share of adversity, is a patron saint of perseverance (Wash famously filed suit against Black Box and C&C Music Factory for failing to give her due credit for her lead vocals on their albums; the suit was in tandem with another case concerning the Milli Vanilli lip-syncing scandal of 1990). Whether “Something Good” changes the world in some small way or not remains to be seen, but the startling beauty and magnificence that is Martha Wash at this latter point in her career is plain to be heard, right now. Martha also stays busy with her charity work, as spokesperson for “QSAC Inc”, a non-profit organization providing comprehensive services to individuals with Autism and their families, “You Can Play Project”, a not-for-profit dedicated to ensuring equality, respect and safety for all athletes, without regard to sexual orientation and the Huntington Arts Council, a not-for-profit that inspires lives and minds through education, entertainment and intellectual motivation, ensuring each of us a place for expression and creativity. Martha is noted for her many voices. Those voices add up to one big-hearted Diva who truly practices what she preached in her early disco hit, “Earth Can Be Just Like Heaven” — Give a little, take a little, put a little back, we’re all brothers and sisters, and that’s a fact!